Macey Small Davis is the founder and president of The Davis Advocates, LLC, a premier public affairs, strategic planning and consulting firm formed in 2009 and located in Dallas, Texas. Previously, Macey was the Executive Vice President of Government Affairs for The Real Estate Council, a trade association representing the commercial real estate industry in the greater Dallas area. At The Real Estate Council, Macey worked closely with the City of Dallas and interested stakeholders to strengthen the political influence of the commercial real estate industry. She also helped establish a statewide coalition of commercial real estate groups, called the Real Estate Councils of Texas, which she chaired during the 81st Texas legislative session. After forming the Davis Advocates in 2009, the Real Estate Council became her first client and remains a valuable client today. Prior to her tenure with The Real Estate Council, Macey lived in Washington, DC where she held the position as the very first Tax Counsel of Federal Public Policy for the National Federation of Independent Business (NFIB), the nation’s leading small business association. While at NFIB, Macey advised multiple national coalitions on estate tax repeal, health care and other business tax matters. Prior to NFIB, Macey had the honor of serving as Tax & Finance Counsel to U.S. Senator Christopher “Kit” Bond (R-MO). Macey received a bachelor of science degree in communications at the University of Texas at Austin, her J.D. from Southern Methodist University Dedman School of Law and a LL.M. in Taxation from the Georgetown University Law Center. 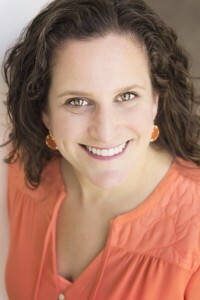 Macey is active in the Dallas community through her 5 years on the Dallas Assembly Board, currently serving as Past President; Leadership Dallas Class of 2011; Leadership Dallas Class Advisor 2012; Greenhill Alumni Board President 2014-2016; and Temple Emanu-El Parents Association Co-President 2012-2013. She and her husband, Steve, live in Dallas with their daughter, Campbell, and their son, Fulton. The Davis Advocates, LLC. All rights reserved.